Inspector General of Police (IGP) Simon Sirro has revealed that Police have figured out a vehicle used in abduction of tycoon Mohamed Dewji was registered in neighboring country. The Tanzanian billionaire, Dewji alias Mo Dewji, was abducted nine days ago when he was entering gym at Collasium Hotel, in Oysterbay, Dar es Salaam. IGP Sirro went on explaining that the car passed through one of Tannzania's boarders on September 1, this year. 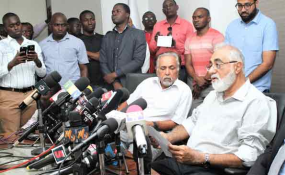 Sirro told reporters in Dar es Salaam early Friday that investigation discover a car's owner and a driver is still underway. Tanzania Police is working closely with Interpol, the Police boss added. "We have also discovered that vehicle that took Mo was Toyota Surf as eye witness reported initially with plate numbers AGX 404 MC," he explained. IGP Sirro also said according to CCTV camera footages found, the car went through Ali Hassan Mwinyi to Kawe round-about. He further called upon Tanzania to trust the police to find Mo, because it is working day and night to attain it.